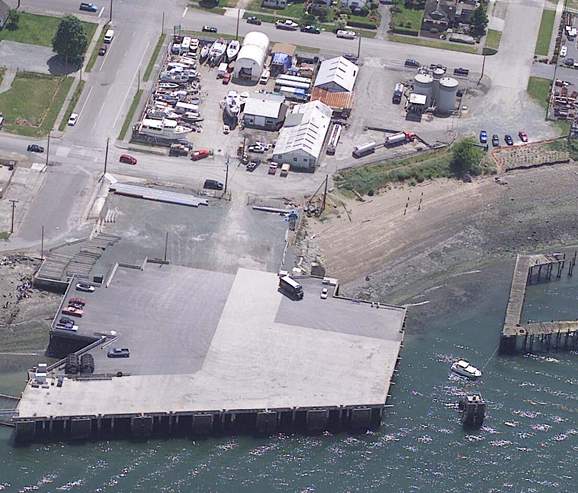 The 0.8 acre Quiet Cove property lays between 2nd and 3rd Streets and O Avenue in Anacortes with adjacent properties including a Port-owned storage yard to the west and a bulk fuel distribution facility owned and operated by Texaco/Reisner to the southwest. Guemes Channel is north and west of the site. The property was historically used for bulk fuel storage and distribution from approximately 1909 to at least 1977. The final date when fuel operations ceased is unknown. 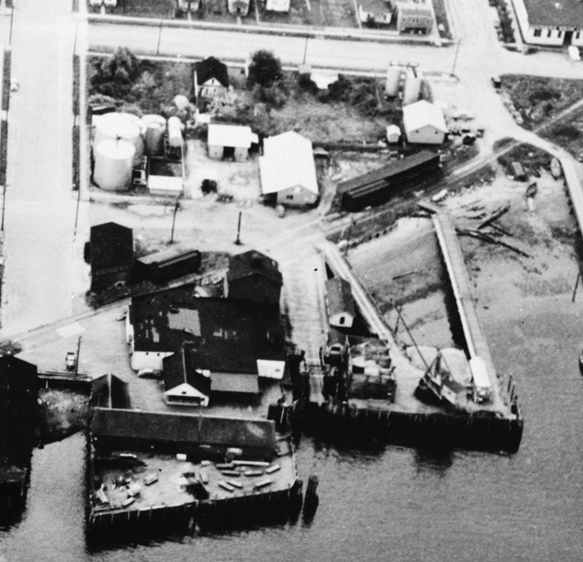 As reported in the February 17, 1910 Anacortes American, Standard Oil erected a dock (in the general vicinity of what is now Curtis Wharf) and bulk fuel plant on the Anacortes waterfront at 2nd Street and O Avenue in November 1909, selling 40,000 gallons of oil a month. Standard Oil operated the bulk fuel facility until the late 1970s at which time the facility was decommissioned and the aboveground tanks were removed. The property was sold in 1977, and the new owners began to operate a storage yard for marine vessels and recreational vehicles and leased office and warehouse space to various tenants for marine related sales and services. In 2013, the property was purchased by the Port with plans to redevelop the property in conjunction with expansion and improvements to Curtis Wharf. Historical contamination is associated with the site being used as a bulk fuel terminal and storage facility, for which operations included oil tanks, an oil warehouse, filling shed and piping. A Focused Environmental Site Investigation conducted in 2014 identified hydrocarbon and heavy metal contamination in the soil, as well as total petroleum hydrocarbons (TPHs) and arsenic in the groundwater. It is unknown at this time if contamination is present in the adjacent sediment. The Port of Anacortes and Washington State Department of Ecology executed an Agreed Order in 2016 to conduct a Remedial Investigation/Feasibility Study (RI/FS) and to develop a Draft Cleanup Action Plan (DCAP) for the site. The RI/FS Work Plan was approved by Ecology in February 2017, with the Port currently undergoing the RI Field Study that includes soil, groundwater and sediment investigation.